Founded in 1939, Canada’s Royal Winnipeg Ballet holds the double distinction of being Canada’s premier ballet company and one of the oldest ballet companies in North America. The RWB School Professional Division was established in 1970 by former principal dancer David Moroni, C.M., to supply the RWB Company with highly-trained and versatile classical ballet dancers. Internationally recognized as a centre of excellence in dance training for more than 40 years, today more than 75% of the dancers in the RWB Company are graduates of the School and countless more are dancing with companies the world over. The Professional Division and the Recreational Division of the RWB School share a state-of-the-art facility with the RWB Company which allows for frequent collaborations and a fluid sharing of resources, knowledge and experience. 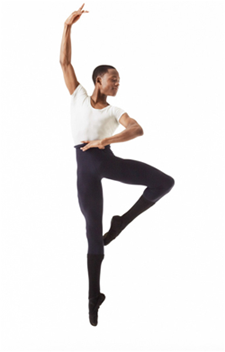 Three programs make up the Professional Division of the RWB School: the Ballet Academic Program, the Aspirant Program and the Teacher Training Program. The Ballet Academic Program is a full-time, seven-level classical ballet training program for students in academic grades six through twelve. Based on the Russian system, students receive a comprehensive program of study to prepare them for a career in dance. 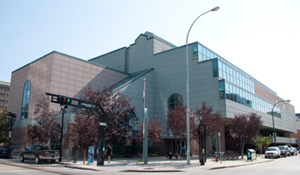 Students’ academic studies are supported by the RWB School’s two partner schools: Nordale School and the Collegiate at the University of Winnipeg. With these partnerships in place, RWB School students have the opportunity to meet university entrance requirements while pursuing their dance studies. In addition, non-anglophone students have access to English classes and are supported with language tutoring as needed. The Aspirant Program is an intensive, post-secondary training program designed specifically for advanced-level classical ballet dancers who have completed their professional training and are making the transition from student to professional artist. Designed to provide students with an opportunity to further develop their dance technique and enhance their performance skills, the Aspirant Program includes frequent opportunities to perform in customized showcase events, with the RWB Company and with other arts groups. Students are also supported through the process of auditioning for other professional companies. The Teacher Training Program is an intensive, post-secondary training program designed to provide students with the skills required for a career in dance education. The program is offered as a three-year course, however applicants with a professional dance background may be eligible to graduate within two years. The RWB School became a Prix de Lausanne partner school in 2010. At this time, two finalists from the Prix de Lausanne are training at the RWB School: Dae Hee Lee from Korea and Saeka Shirai from Japan.